Gain an in-depth understanding of research by receiving hands-on training on projects conducted in the STEM Translational Communication Center (STCC). 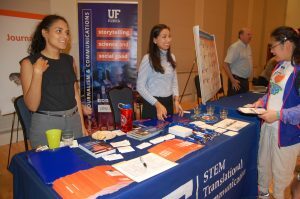 The STCC Undergraduate Research Immersion Program (URIP) is open to all undergraduates attending the University of Florida. The URIP runs every semester. Students can receive up to three credit hours depending on the amount of time each student is willing to work. For three credit hours, the student would be required to work 15 hours per week. 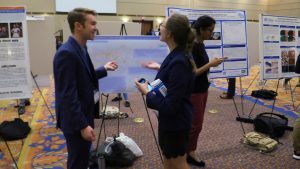 Students in URIP will learn about UF’s Institutional Review Board (IRB), assist with the recruitment of and learn how to communicate with study participants, learn how to moderate focus groups, and subsequently with the data collection and qualitative coding. Finally, you will be involved in the development of manuscripts resulting from the various research projects at STCC. Previous students from the URIP program have gone on to graduate school to pursue their desire of conducting research.